Two days ago we saw some leaked information about HTC Edge which will be HTC’s first device to run on Nvidia’s Tegra 3 processor, but if you were thinking that it would be the first Smartphone to run on the advanced CPU, just like Transformer Prime will be in tablets then you may be wrong. According to reports, HTC Edge may not be the first device to run the Tegra 3 CPU as Motorola, Samsung and LG have already adopted Tegra 3 for future smartphones. 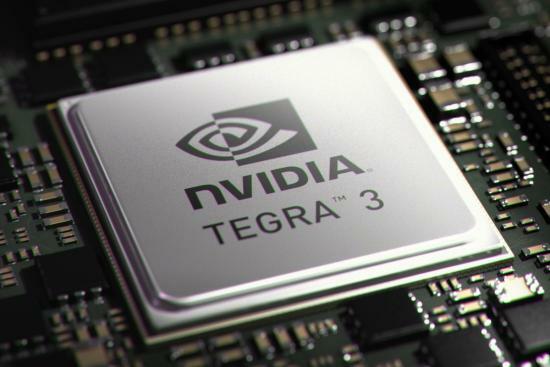 Nvidia had yesterday announced the Tegra 3 processor, bringing PC-class performance levels, claiming better battery life and improved mobile experiences to tablets and phones. The Tegra 3 processor is said to provide up to three times the graphics performance of Tegra 2, and up to 61% lower power consumption, translating to 12 hours of battery life for HD video playback.